inefficient usage of synchronization methods (sync), smarter access strategies (access), I/O scheduling improvement (sched), scale on-disk and in-memory data structures (scale), data block allocation opti- mization (locality), and other performance techniques (other). 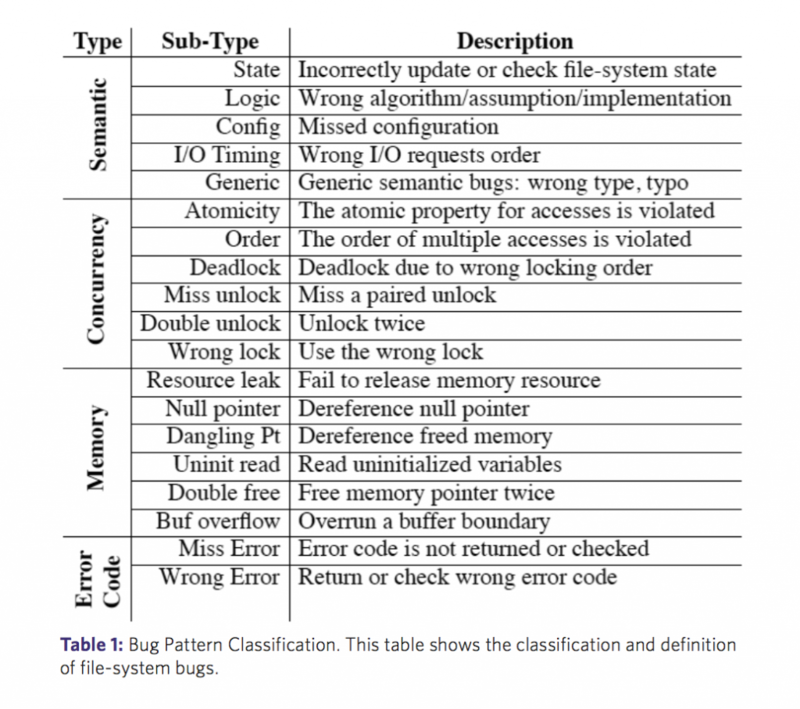 Scale patches utilize scalable on-disk and in-memory data struc- tures, such as hash tables, trees, and per block-group struc- tures. 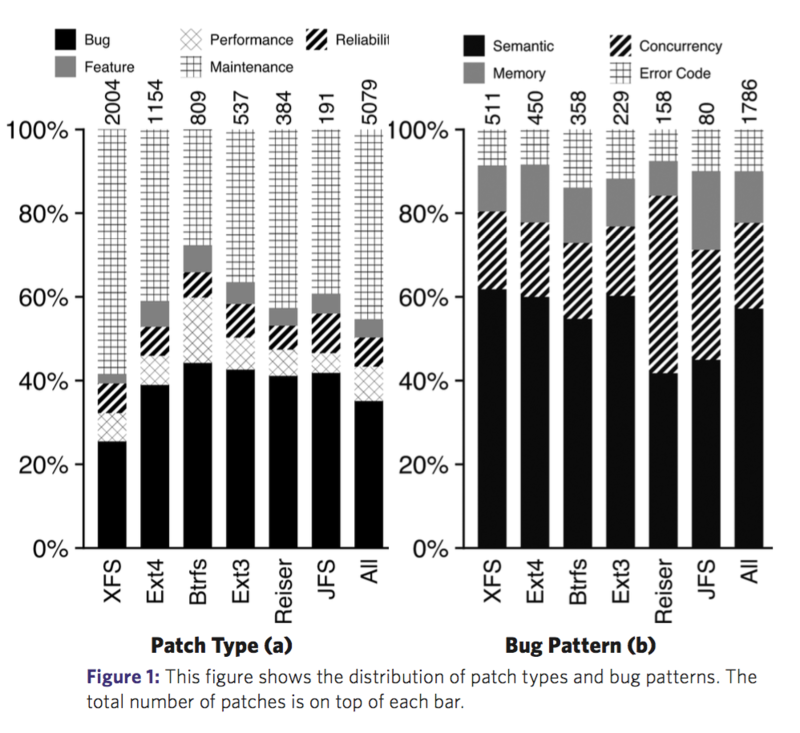 XFS has a large number of scale patches, as scalability was always its priority.